Loading screen bar simple hue 4k. Clean retro style loading text with progress bar, with color hue (shift). Loading screen bar simple green 4k. Clean green retro style loading text with progress bar. Downloading progress bar 8-bit hue 4k. 8-bit retro style downloading text with progress bar, with color hue (shift). Silhouette man praying uploading status bar. A man praying God with a rosary in his old wrinkled hands. Dark silhouette over a retro style uploading text with progress bar. Loading human woman fancy glasses. A loading text flashes while a human being (a cute young woman with fancy eyeglasses) is getting loaded. Insert coin, flashing in text titles. Classic arcade, vintage, retro video game style. processed through videotape for authentic film or tape damage effect. Also available in a clean, digital version. Game Over Jumbotron Simple. A 4k game over jumbotron screen, simple movement. Round LED dots retro style.  animation - modern rotation loading bar on white background. Footage with alpha matte.